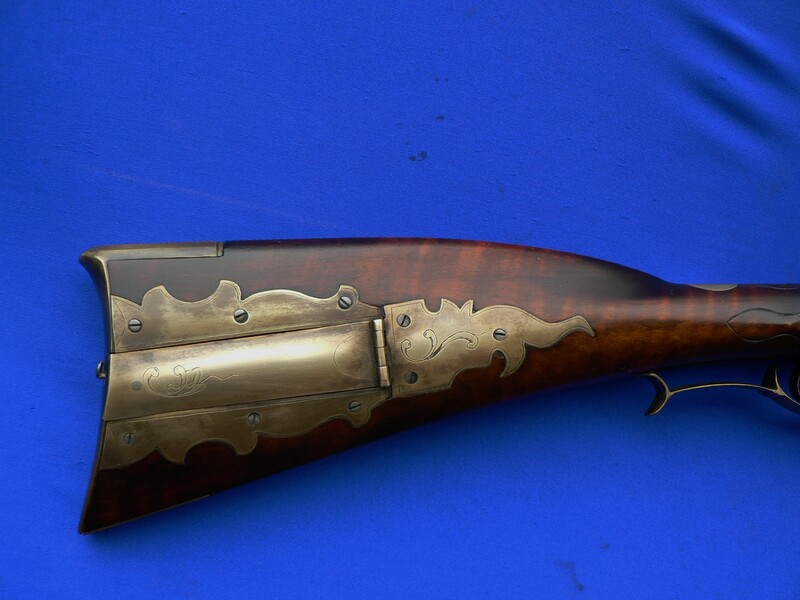 This rifle is based on the work of Henry Mauger, a well-known Berks Co. maker. 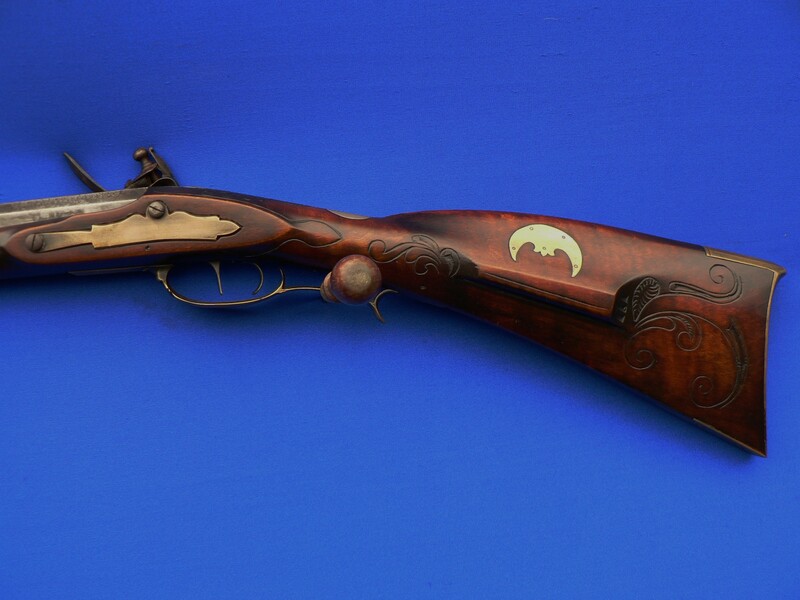 It has a 38” Colerain 50 caliber barrel, a Jim chambers Late Ketland lock and Davis double set triggers. This nice Berks Co. style rifle is designed for the hunter. It is nicely incise carved and lightly engraved with a handmade patchbox correct to the original maker. 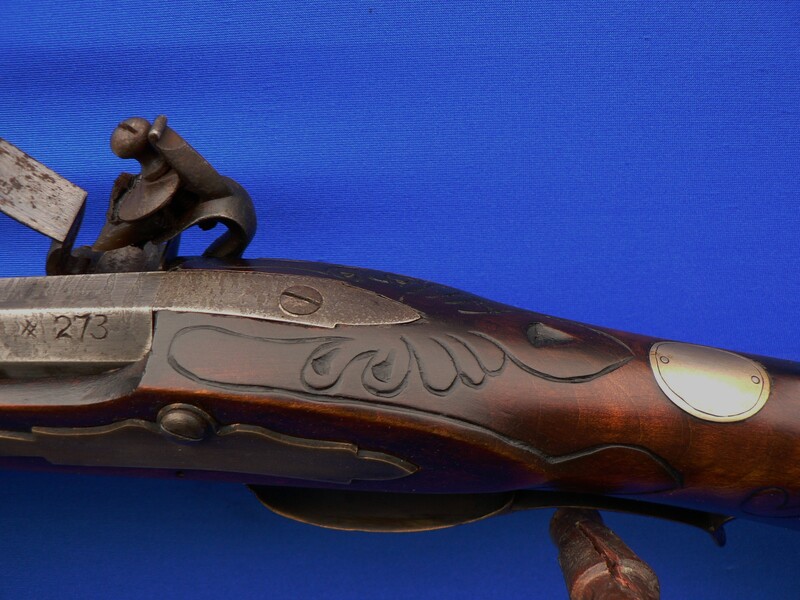 The gun is aged to reflect the look of a well-cared for antique rifle.